Warner Classics in releasing Maria Callas Live is giving fans of La Divina a lovingly restored collection of some of her finest performances to treasure, timed to commemorate the 40th Anniversary of her death in Paris on 16 September 1977. More than a gift to their own coffers, Warner Classics in releasing Maria Callas Live is giving fans of La Divina and lovers of opera a meticulously restored collection of some of her finest performances to treasure. It is timed to commemorate the 40th Anniversary of her death in Paris on 16 September 1977. The 42 CDs contain 20 complete operas, and three Blu-ray discs hold five recitals, all beautifully cleaned and polished by the French sound restoration company Studio Art et Son. Most of these operas were already remastered by EMI less than two decades ago, yet the improvement here is manifest, showing how technology has galloped ahead in eliminating tape deck rumbles, hiss, distortion and echo. Oddly, other technologies that were easily available twenty years ago were not used, most notably that for restoring the correct pitch. The 1959 Carnegie Hall recording of Il Pirata, for example, was a half-tone flat in the version EMI released in 1997. Warners has also dug around to find better analogue sources to work from, including tapes from the archives of an Italian collector called Oscar Costellacci. The Karajan Lucia di Lammermoor from 1955, maybe Callas’s finest recorded interpretation, benefits enormously from an exceptional new source. The result is a fuller and warmer sound, though admirably the technicians haven’t excessively filtered out tape hiss which would also mean removing harmonics from the sound of the orchestra and Callas’s voice. A better analogue recording of the La Scala production of La sonnambula in 1955 — Callas, Leonard Bernstein, Luchino Visconti — as well as the work of the sound technicians has resulted in a more three-dimensional sound than the muffled, flat recording released by EMI in 2002. It is a subtle difference, but the newly presented recording has more bite and drama. The first act of this Sonnambula was transmitted on Italian television but, frustratingly, was apparently destroyed under instructions from Callas and her husband, Giovanni Battista Meneghini, seemingly because no royalties had been agreed on; this information comes to me from an Italian director who met up with Callas a couple of days after the broadcast. At least the audio recording has been preserved, and is now sounding better than ever. Some of the recordings have been improved, yet being that they started out poorly, they remain of meagre audio quality. Warner Classics has, mercifully, decided to include Nabucco (Naples 1949), Armida (Florence 1952), La vestale (Milan 1954), and Alceste (Milan 1954), despite their faults, being that these are the only recording available of Callas singing these roles, all roles that she did not record in the studio. The 1951 Aida from Mexico City is included in the set, which has the exhilarating, held high E-flat at the end of the Triumphal Scene provoking an explosion of applause which drowns out the orchestral coda. This is another recording which has benefitted from a newly found analogue recording. Macbeth, from the season opening at La Scala in 1952, has also been improved by the discovery of a better primary source. With a €90 ($80) price tag, the box set is something of a bargain, and certainly cheap enough to convince those who already have all these recordings to replace them with these bright, shiny new CDs. 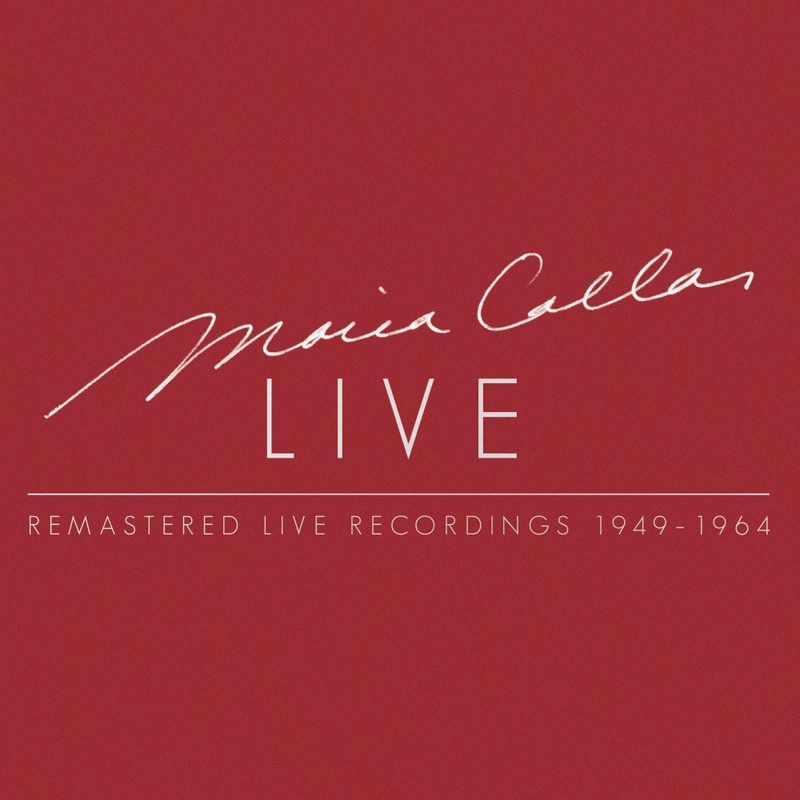 Maria Callas Live is a worthy follow up to Callas Remastered: The Complete Studio Recordings of 2014. It can be ordered now from online channels, and will be available on the high street from 15 September. 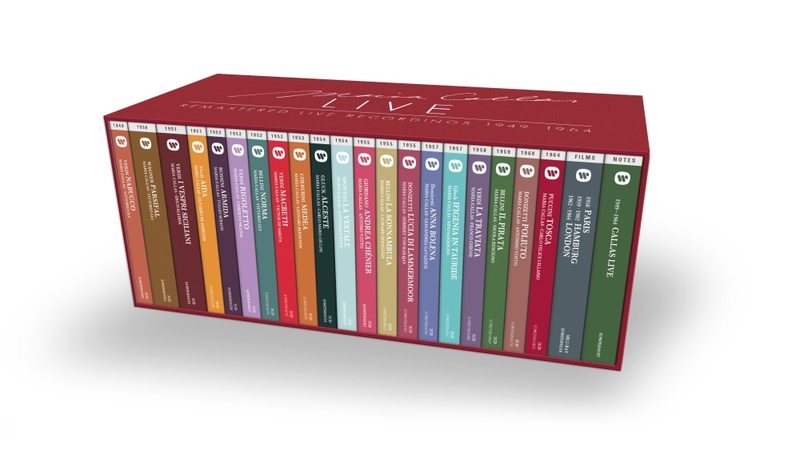 Each of the 20 complete operas (CD) and the 5 filmed recitals (Blu-ray) in the box set is presented in a digipak, and will also be available as an individual release, in physical and digital formats.